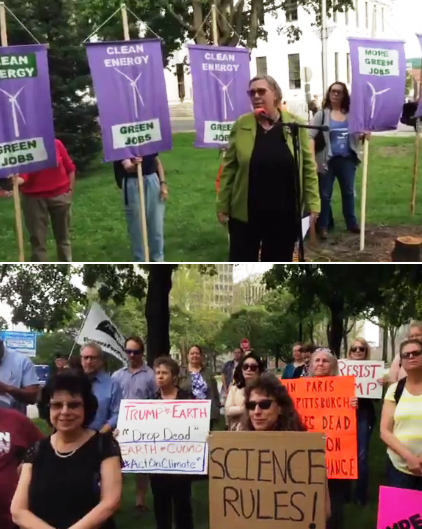 More than 100 people rallied Thursday evening in downtown Albany, calling for state and local officials to fast-track the switch to 100 percent clean energy, enact a carbon tax and divest public pensions from fossil fuels. Former Environmental Protection Agency Region 2 Administrator Judith Enck addressed the crowd: "If the trend continues, scientists say that the climate in the Adirondacks will soon be like the climate in West Virginia. 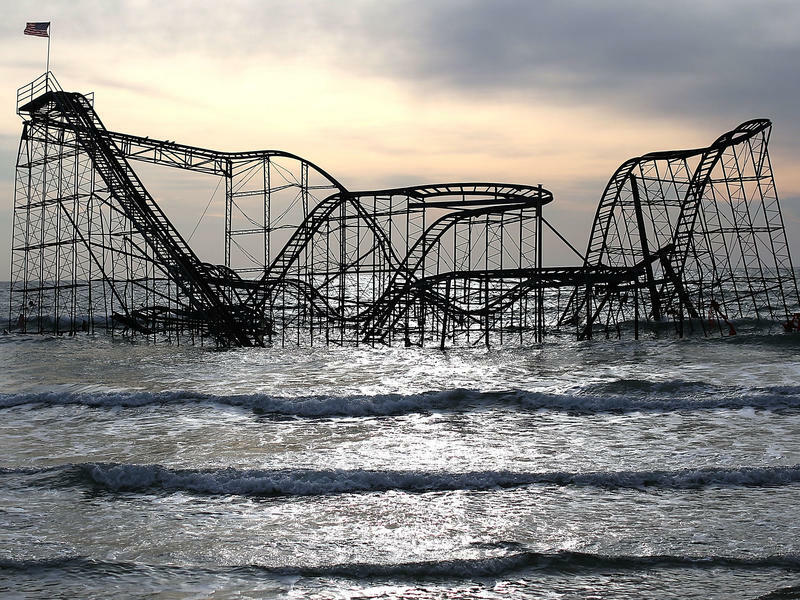 We are already seeing sea level rise, we're seeing extreme weather... It's really time for people to stop asking one another 'Do you believe in climate change? This is not a theological issue. This is a science issue. There's a scientific consensus on climate change. 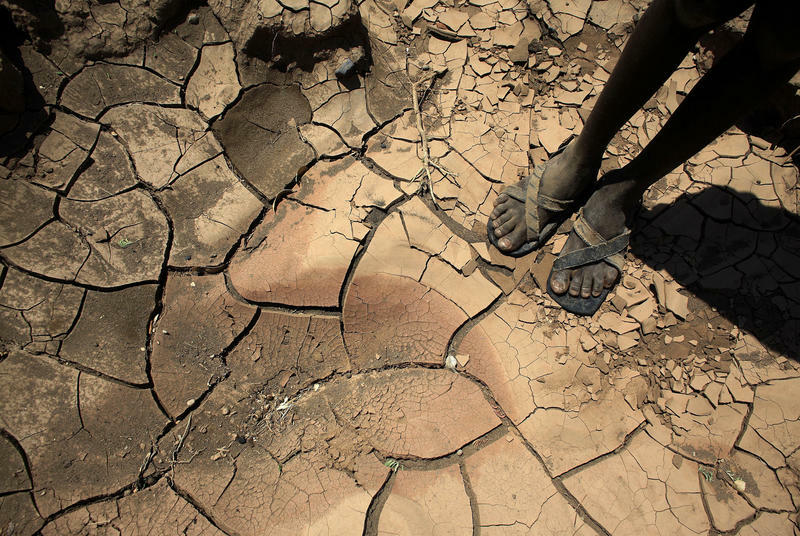 97 percent of climate scientists confirm that climate change is real and it's caused by human activity." New York environmentalists are focusing attention in the state legislature on the Climate and Community Protection Act, or C-C-P-A. Catskill Mountainkeeper Deputy Director Katherine Nadeau says the measure has three major components: "It puts a place in its schedule to ratchet down New York's carbon and greenhouse gas emissions 100 percent below 1990 levels by 2050, which is what climate scientists are saying is really needed to beat back the worst impacts of climate change. It also raises up environmental justice communities and makes sure that these communities that have historically been left behind and have borne the brunt of decision-making will have a seat at the table as far as deciding how funding is spent and to make sure that a proportional amount of funding coming in from environmental programs goes to environmental justice communities. And then third, it puts in place strong and fair labor standards, so that as we are rebuilding our economy and as we are moving into the exciting energy future, we're doing so with good, solid jobs for New Yorkers." The CCPA, which passed the Assembly in 2016, was reintroduced on June 5th. Advocates say it would give New York the strongest climate, jobs and environmental-justice legislation in the nation. As for its chances in the Senate, which is led by Republicans and the Independent Democratic Conference... "It ain't over until the fat lady sings. And we've still got time on this legislative session. So I'm not convinced that it's completely dead on arrival. We've got some sponsors in the Senate who are interested in moving it forward." Mark Dunlea, who chairs the Green Education and Legal Fund, says state and local governments must "step up to the plate and take leadership." "One of the things we heard last night from Albany Mayor Sheehan is that the city of Albany is actually committed to go to 100 percent clean energy by 2035. There's probably about three dozen cities now across the country which have made a similar 100 percent renewable energy commitment, and we need all our governments at all levels to make such an effort." Dunlea adds advocates are also calling for the establishment of a polluter penalty and divestment of state pension funds from fossil fuels. "Certainly with Exxon, which, right now, Tom DiNapoli has over a billion dollars invested in, we have our state attorney general leading the investigation of 'What was the impact of Exxon lying about climate change and how should they be held accountable?'" After the president’s announcement, Governor Andrew Cuomo signed an executive order affirming New York’s commitment to standards in line with the Paris agreement. Several municipalities across New York likewise vowed to adhere to existing environmental policy. 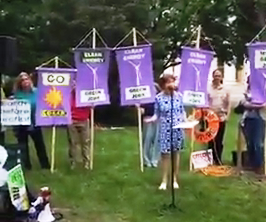 BONUS AUDIO: Albany Mayor Kathy Sheehan addressing the Climate Rally in Academy Park (across from City Hall) on Thursday, June 8, 2017. 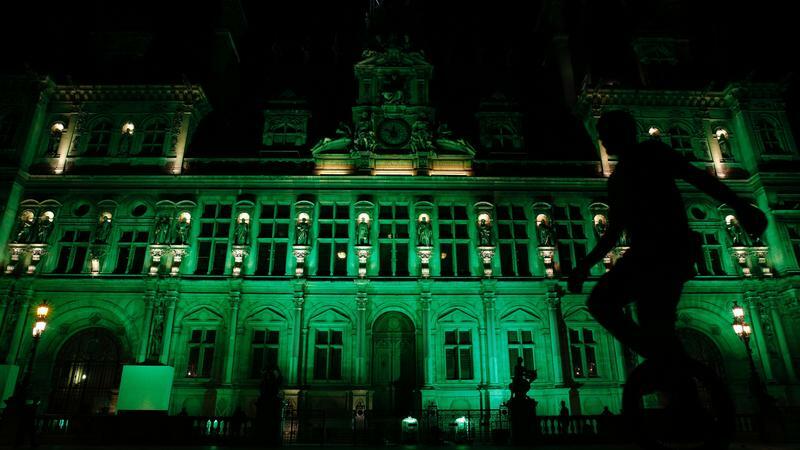 After President Trump announced that the U.S. would be withdrawing from the international agreement to fight climate change, the responses were immediate — from denunciation to celebration. And some reactions were particularly pointed — and personal. French President Emmanuel Macron gave an address, in English, in which he riffed on Trump's campaign slogan. "Make our planet great again," Macron said, calling the decision to leave the agreement a mistake and inviting scientists in the U.S. to "come and work here with us" on efforts to combat climate change.